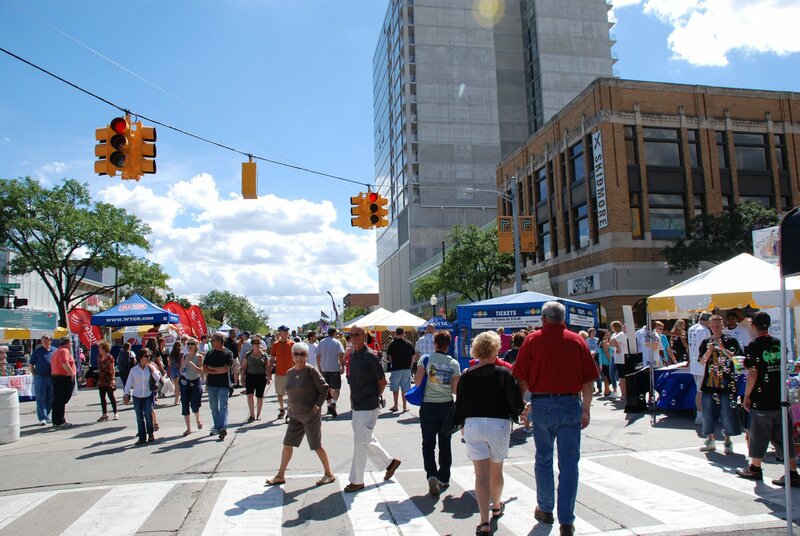 One of Southeast Michigan’s most popular summertime events – Arts Beats & Eats – is returning to downtown Royal Oak on Labor Day weekend, and is bringing art, music, cuisine, and charity with it! Next weekend, thousands of people from across the state (and beyond!) will be visiting Oakland County for this annual festival. Now in its 17th year, Arts Beats & Eats is an epicenter of culture for four days in wonderful and vibrant downtown Royal Oak. Considered one of the nation’s premier juried art shows, the Juried Fine Art Show includes works from artists from across the country. There is hardly a limit to the types of art you will see over the course of three days; ceramics, digital art, drawing, fabric/fiber/leather, glass, graphics/printmaking, jewelry, metal, mixed media 2D, mixed media 3D, painting, photography, sculpture, and wood pieces will all be on display – and vying for cash awards. And what about the beats and eats? 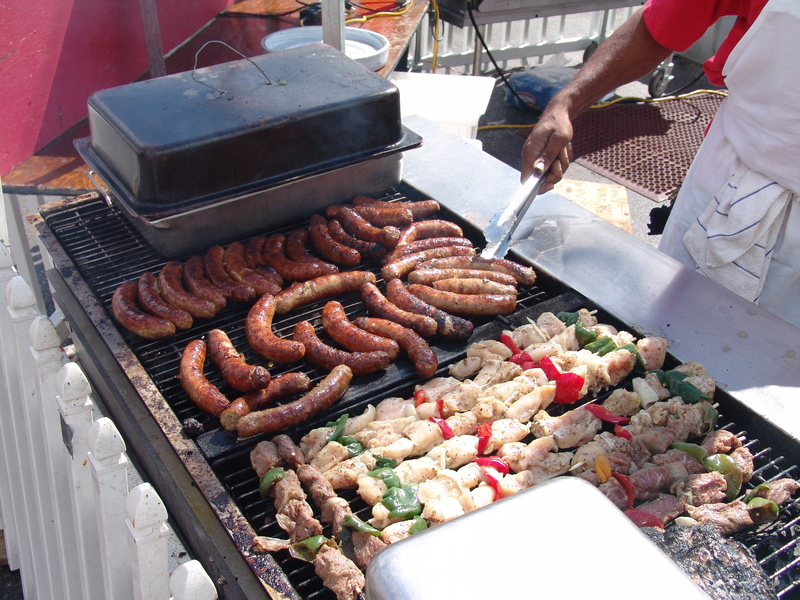 More than 200 performers will be hitting 10 different stages (get a schedule of performances HERE), while some of the finest restaurants in Metro Detroit will be serving up delicious food – from barbeque to international bites, and everything in between. For a list of participating restaurants, click HERE. This event truly has something for everyone. The DMC Kids Zone brings youngsters together with fun, interactive programming throughout the four days of the festival. The Kids Zone includes the Oakland County Kids Stage, which will feature lively, family friendly performances, and the Petting Farm presented by Huron-Clinton Metroparks. Full list of family-friendly activities available. If you’re looking for a way to stay active over the holiday weekend, why don’t you lace up your running shoes and join the Arts in Motion 5K Walk & Run and 10K Run? The runs & walk will be benefiting Michigan Youth Arts and Rock CF, a nonprofit dedicated to increasing the quality of life for people with cystic fibrosis. Both the 5K and the 10K will be taking place on Saturday, August 30th – registration is now open, but day-of registration will also be available. Last year, over 355,000 visitors attended the festival and $386K was raised for local charities, and to date over $3 million raised by the Arts, Beats & Eats Foundation has been donated to charity (according to the official Arts Beats & Eats website). Arts Beats & Eats is held from Friday, August 29th through Monday, September 1st. Festival admission is $3 until 3pm and $5 after 3pm on Saturday, Sunday & Monday. It is free to enter until 5pm on Friday only. For more details about Arts Beats & Eats, including tips on parking and transportation, please visit the official site: www.ArtsBeatsEats.com.